According to the clock we've only lost two players so far, but Michael Mizrachi already has more than four starting stacks in the second level of play. The board just read when the four players involved all checked. On the turn the hit, and it was checked to Mizrachi again. He was in position against his opponents and bet pot: 1,600. Juha Helppi was in the small blind, and he re-raised pot to 6,400. The other two players folded quickly. Mizrachi put in the call creating heads-up river action. On the river the hit, and Helppi checked. Mizrachi immediately flicked three 5,000-chips into the pot, putting Helppi at risk. 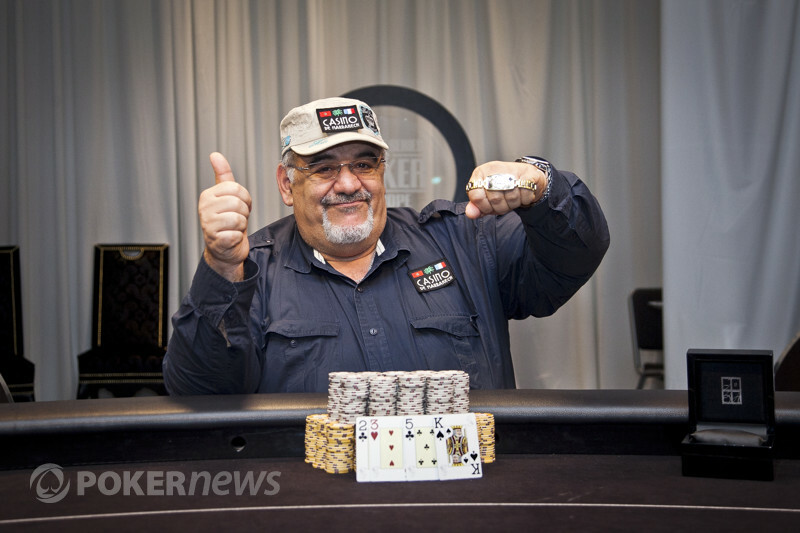 The Finnish pro had only 6,900 left, and smiling Mizrachi took back one of the 5,000 chips. Helppi tanked for minutes before asking his opponent, "Do you show a bluff when I fold?" "I can't show," Mizrachi said, still smiling. Eventually Helppi folded and Mizrachi turned over . "Those are my worst ones!" Mizrachi said, as Helppi smiled and said that those cards might have been the best. Helppi is short, while Mizrachi is the clear cut chip leader.